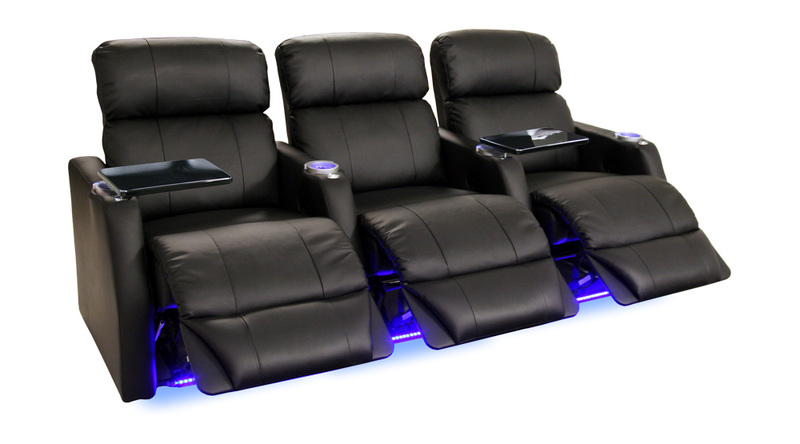 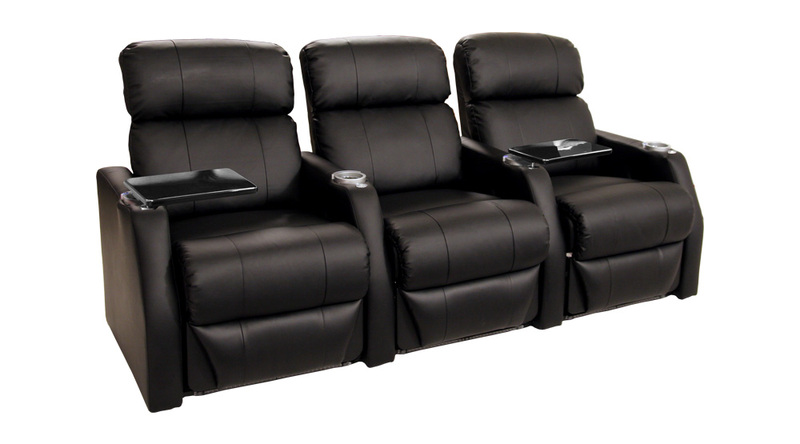 The Seatcraft Sienna Home Theater Chair is renowned for its elegant space-saving design, that nonetheless highlights an array of essential features. 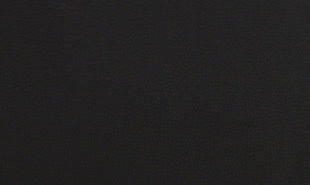 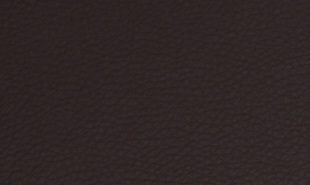 This seat is constructed from 100% genuine bonded leather, for the smooth look of full-grain leather at a smart value. 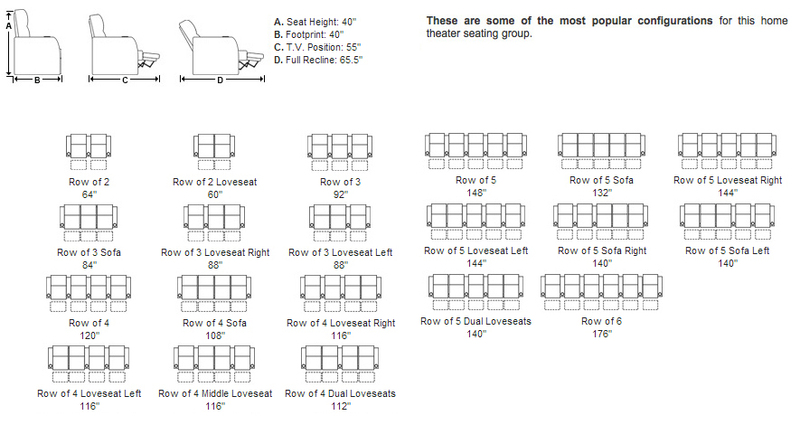 The chair itself is of a regular size, but its armrests are less wide than the standard, allowing it to conserve space without discomfort. 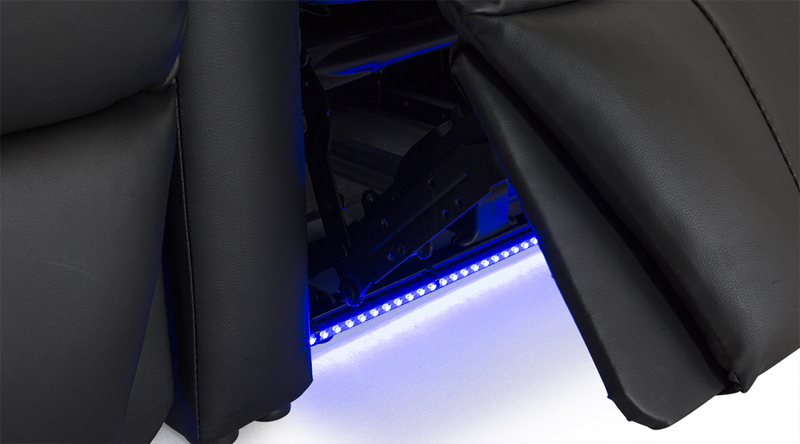 Ambient lighted cupholders and ambient base lighting will provide a soothing marquee glow that is sure to impress friends and family, even as it allows them to see in the dark. 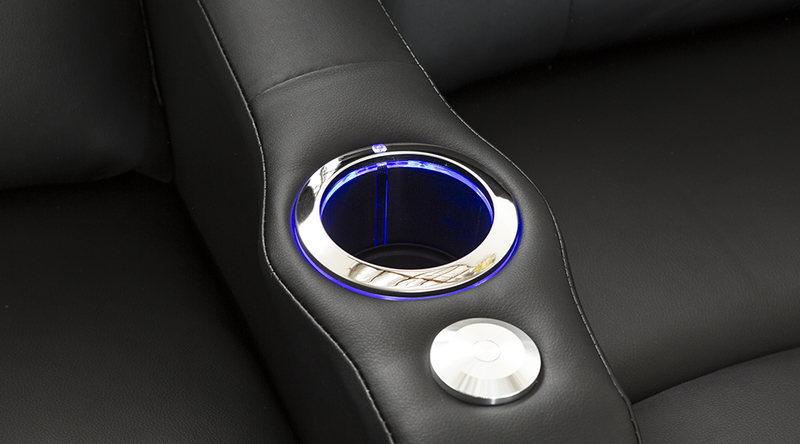 Included black tray tables will allow you to put essential items such as magazines, remotes, and laptops within arm’s reach. 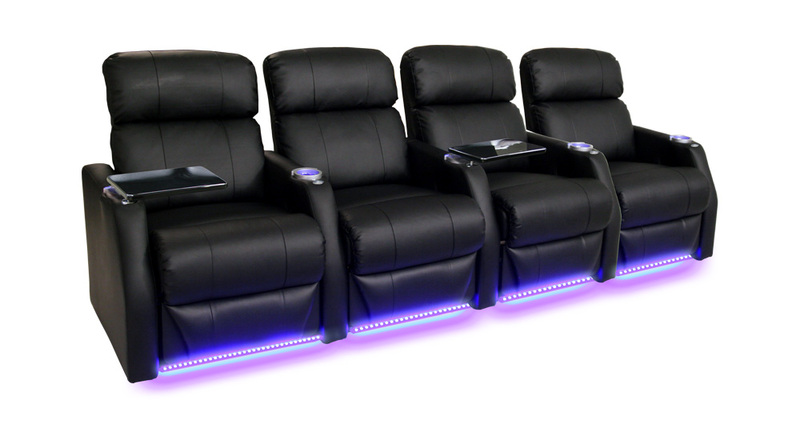 Wall-hugger seating allows the chair to sit just inches from the wall, even in full recline, furthering its efficient use of space. 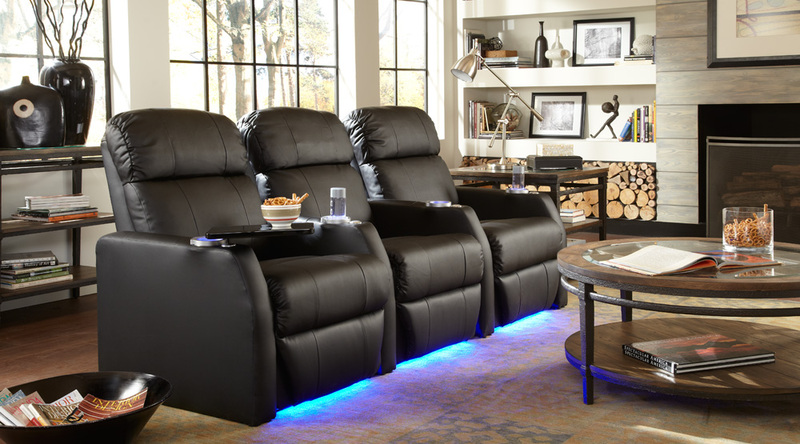 Padded headrests offer soft, sinking comfort that is mirrored by a cradling backrest. 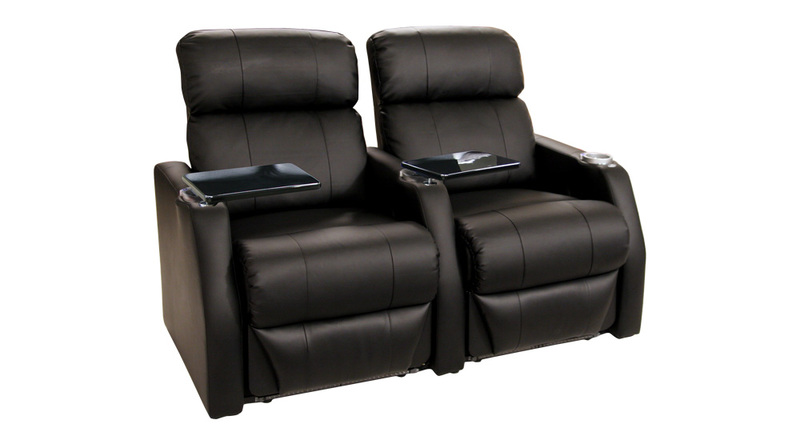 In addition, a chaiselounger footrest will provide full support to the legs and lower torso area, so that your entire body can relax with ease.